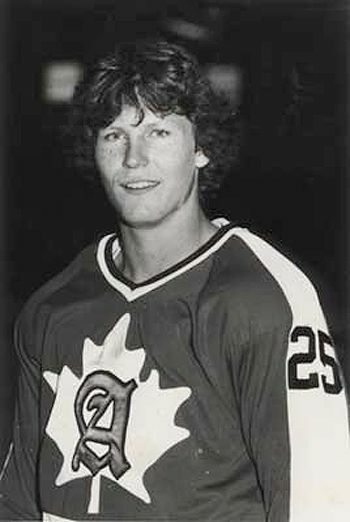 Born on this date in 1965, legendary tough guy Bob Probert played junior hockey with the Brantford Alexanders of the Ontario Hockey League beginning with the 1982-83 season. In 51 games he scored 12 goals and 28 points while amassing 133 penalty minutes as he discovered by accident a he had a knack as a tough guy when he knocked out the Kingston Frontenacs bruiser with one punch. Now with a reputation, he then learned to fight properly. The 6' 3", 230 lbs. left winger was selected after the season 46th overall in the 1983 NHL Entry Draft by the Detroit Red Wings. Probert returned to the Alexanders for the 1983-84 season and excelled with 35 goals and 73 points in 65 games, good for third on the team, and all the more impressive when you consider he spent more than the equivalent of three full games in the penalty box thanks to his 189 minutes of penalty time. He would spend one more season in Canadian juniors, playing with the Hamilton Steelhawks, where he had a lone assist and 21 penalty minutes in just 4 games before moving to the Sault Ste. Marie Greyhounds with whom he had a second fine offensive season, as in 44 games, he registered 72 points from 20 goals and 52 assists with an additional 172 penalty minutes. His combined total of 193 ranked him seventh in the league for the second season in a row. 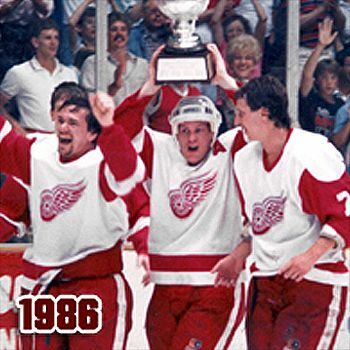 In 15 playoff games, Probert would add an additional 17 points in 15 games as the Greyhounds won the OHL championship and advanced to the 1986 Memorial Cup, where they placed third. 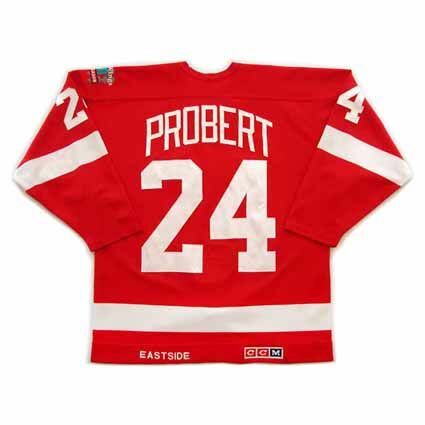 Probert turned pro in 1985-86 and split time between the Adirondack Red Wings of the AHL and Detroit of the NHL. In addition to his 12 goals and 27 points in 32 games with Adirondack, he slugged his way to the NHL with 152 penalty minutes, all of which earned him a call up to Detroit to make his NHL debut. He would play in 44 games with the parent club, scoring his first 8 NHL goals, as well as 13 assists for 21 points. His 186 penalty minutes ranked third on the team behind Randy Ladouceur (196 PIM in 78 games) and Joey Kocur's league leading 377. Probert's combined AHL and NHL total for the season amounted to 338 PIM. 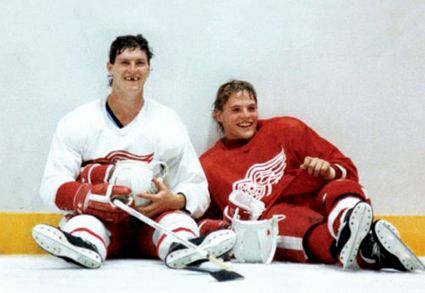 Probert and Kocur would play together in Detroit for six seasons and become known as "The Bruise Brothers". He was back in the AHL by the time of the playoffs and played in 10 of Red Wings 16 playoff games as Adirondack won the Calder Cup as AHL champions when they defeated the Hershey Bears 4 games to 2. It was during the post game celebrations that Probert, who had been drinking alcohol since he was 14, tried cocaine for the first time. In 1986-87, Probert surpassed the 200 minute mark for the first time in the NHL with 221 minutes in penalties. He also chipped in 13 goals and 24 points, adding another 7 in 16 playoff games for the Red Wings. 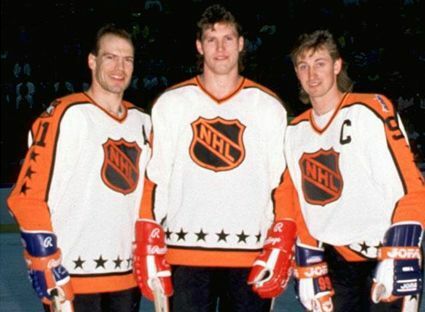 The following season of 1987-88 was Probert's finest in the NHL on several levels, as he scored 29 goals, 33 assists and 62 points as well as leading the entire league with 398 penalty minutes, which were career highs in all four categories. His 62 points were tied for third on the Red Wings behind only Steve Yzerman (102) and Gerard Gallant (73). He tied with Petr Klima at 62 points and finished with more than centers John Chabot, Adam Oates and Brent Ashton. His mulch-faceted game was recognized with a spot in that season's NHL All-Star Game. Not done yet, he also led Detroit in playoff scoring with 21 points in 16 games! 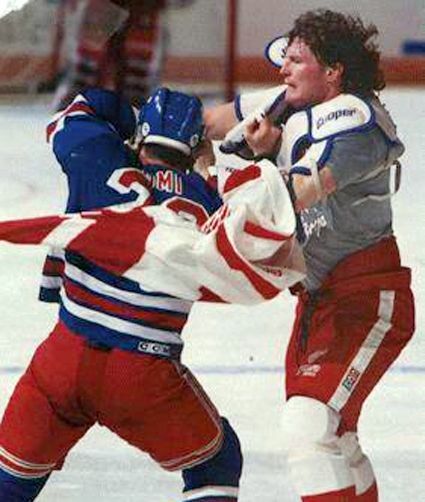 Probert developed a number of rivalries with other bruisers and enforcers around the league as he protected his Red Wings teammates. He had a long running battle with Wendel Clark. He praised regular combatants Stu Grimson, Troy Crowder and Marty McSorley as honorable fighters in his book and once fought Jody Shelly three times in the same game. 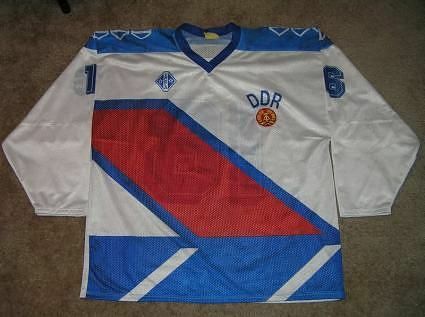 He also fought Tie Domi on several occasions that garnered much publicity and anticipation. Unfortunately, Probert was by now having off-ice problems with drinking and discipline issues on the ice. He had been limited to just 25 games of the 1988-89 season, scoring a mere 6 points after being suspended indefinitely in September for breaking team rules and then being removed from the team after his reinstatement for showing up late for a game, which caused him to miss another month. Then on March 2, 1989 he was arrested while entering the United States with 14 grams of cocaine in his possession as well as drug paraphernalia. Eventually, he was suspended indefinitely from the NHL and served three months in a federal prison and an additional three months in a halfway house. All of this led to Probert playing a mere 4 games of the 1989-90 NHL season. 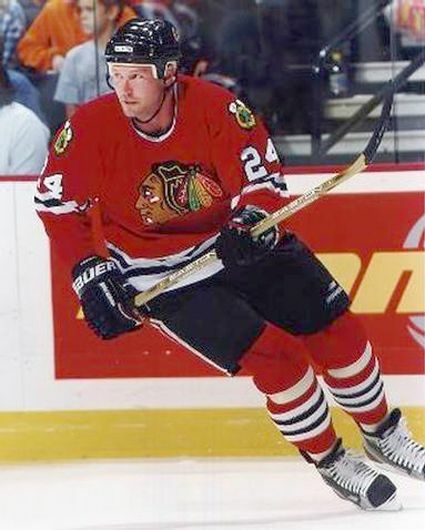 For a time after his return to the NHL, Probert was ordered to be deported from the United States to his native Canada. 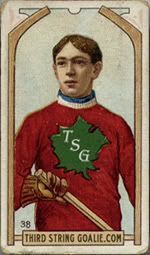 He filed an appeal , which allowed him to return to play for the Red Wings, but he was not allowed to leave the United States for games in Canada, as he would not have been allowed back into the US had he left it. It would take until December of 1992 for the United States Immigration and Naturalization Service to grant his appeal, which restored his travel privileges between the US and Canada. He had a return to form for the 1990-91 season when he scored 16 goals and 39 points as well as a team leading 315 penalty minutes, third in the NHL that season, in only 55 games played thanks to being unable to play in games in Canada. Probert had the second 20 goal season of his career in 1991-92 with exactly 20, as well as 24 assists for 44 points and 276 penalty minutes in 63 games. He would also develop a new rival for his fight card, as former teammate Kocur was now a member of the New York Rangers and the two fought several times over the remainder of his career. 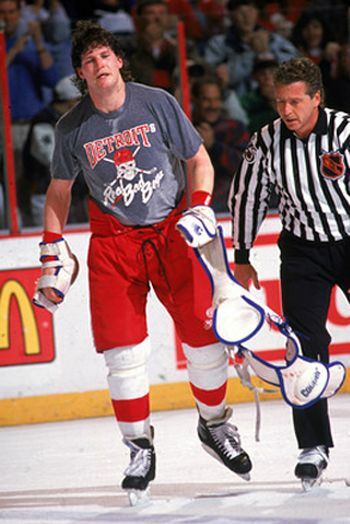 With his travel restrictions behind him, Probert played in 80 of the Red Wings 84 games in 1992-93, chipping in 14 goals and 43 points as well as 292 penalty minutes to finish 8th in the league after dropping out of the top ten the previous season. After his offensive numbers dropped to just 7 goals and 17 points in 66 games in 1993-94, his contract with Detroit expired. 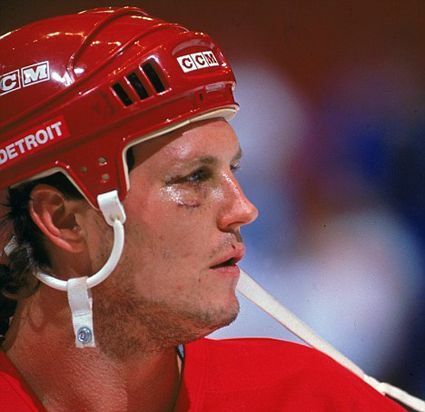 If the Red Wings were even considering offering Probert a new contract, he shattered those thoughts by hurting himself when he crashed his motorcycle into a car, which led to police determining his blood alcohol level was approximately three times the legal limit in addition to finding trace amounts of cocaine in his system. Four days later Detroit senior vice-president Jim Devellano stated, "This is the end. In my 12 years with the organization, we've never spent more time on one player and his problems than we have on Probert." Despite his obvious personal problems, he was signed by the Chicago Blackhawks just eight days after his motorcycle crash. 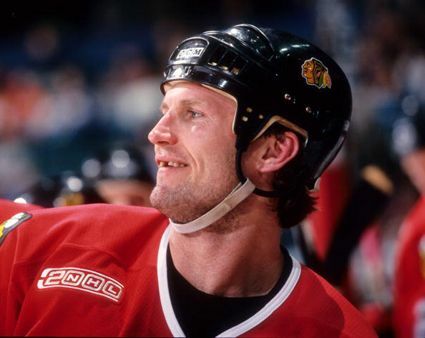 Probert would miss the abbreviated 1994-95 season, which did not begin until January of 1995 when he was placed on inactive status by the NHL when he entered rehab stemming from the drunk driving charges against him relating to his motorcycle crash in July. He was able to return to the ice for the 1995-96 season, playing in 78 games and scoring a hopeful 19 goals and 40 points. He also led the team with 237 penalty minutes, but ranked outside the league's top ten. His offensive numbers though, would never approach 40 again as his role as a tough player with all-around skills evolved. He played a full schedule for the only time in his career in 1996-97, 82 games in all. 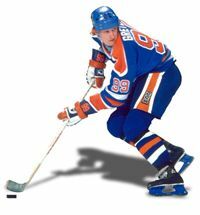 He finished second overall in the NHL with 326 penalty minutes, the second highest of his career, but managed only 9 goals and 23 points. The 1997-98 season was all but lost to a torn rotator cuff, which limited him to 14 games. He bounced back with 78 games during 1998-99, but barely exceeded 200 penalty minutes with 206. His offensive contribution was 21 points that season. For the final three seasons of his career, he played 69, 79 and 61 games, which saw his penalty minutes fade from just 114 to 103 in 2000-01 with a bounce back up to 176 in 2001-02. His point totals from 1999-00 to 2001-02 were 15, 19 and then just 4 in 61 games. Chicago then placed him on waivers after the 2001-02 season, but was not picked up by any other club. When informed that his role with the club would be limited, if not even sent to the minors, he unofficially retired in order to join the Blackhawks broadcasting team for 2002-03. That did not last long, as in February of 2003, he went back into rehab for help with his ongoing addictions. Probert formally retired in February of 2003 with 935 games played over 16 seasons, having scored 163 goals and 221 assists for 384 points. His 3,300 penalty minutes were fourth all-time in NHL history. Following the end of his hockey career, he had several encounters with the police that led to several arrests in 2004 and 2005 but his life appeared to settle down as he was active in the community, appearing at charity games, speaking at conventions and conducting youth clinics. He appeared at Joe Louis Arena for Yzerman's jersey retirement ceremony and played in the Red Wings Alumni Game against the Boston Bruins, both in January of 2007. In 2009, he was a participant in the Canadian television show Battle of the Blades, where hockey players compete in a pairs figure skating competition. 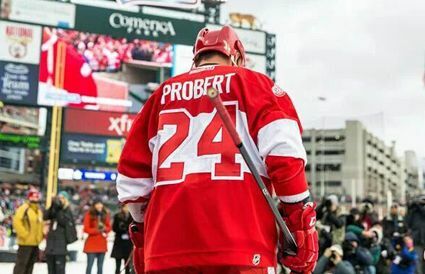 In July of 2010, Probert died of a heart attack at the age of 45 while boating with family. 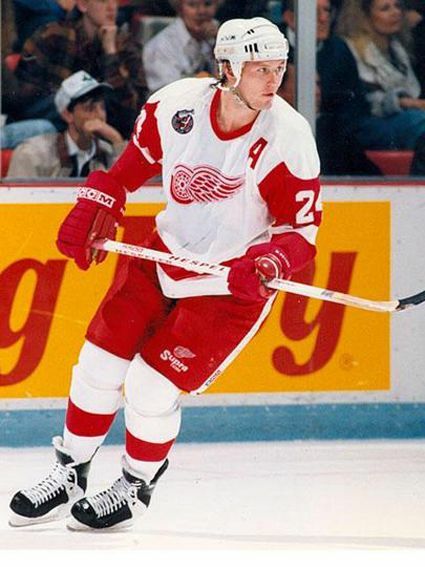 "This is a very sad day for Red Wings fans as we have lost one of the toughest players, best power forwards and all-around great guys who ever wore the Winged Wheel," Kocur said. "My favorite memory of Bob would be sitting down before a game, going over the opposing lineup and picking and choosing who would go first and if the goalie would be safe or no. It was great to be able to go out on the ice knowing that he had my back and I had his. He was like the brother I never had. My prayers go out to his family." Chicago teammate Tony Amonte recalled, "He had a lot of hardships in his life, overcome a lot of obstacles, and it looked like he was doing really well these last few years. He was an unbelievable guy, great person, almost like a kid in man's body is just the guy he was. He always had a grat hear and was always there for his teammates. It was awesome playing with him. I'm devastated by the news." His brain was donated by his family to assist researchers to study the effects of concussions and sports related head injuries and it was found that their was evidence of chronic traumatic encephalopathy (CTE), one of the first hockey players identified following the first such diagnosis of Reg Fleming in December of 2009. 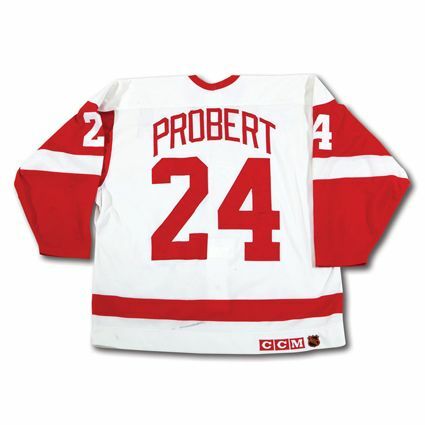 Today's featured jersey is a 1985-86 Detroit Red Wings Bob Probert jersey as worn during his rookie sesaon. 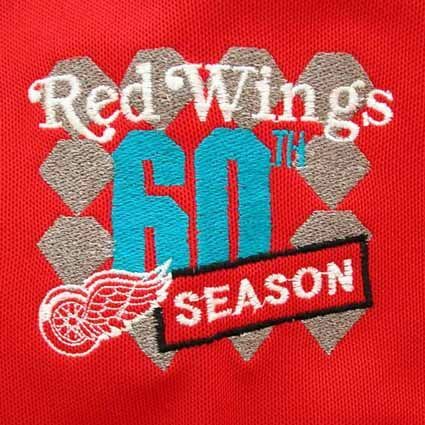 This jersey has the logo celebrating the Red Wing's 60th season, but unlike the standard custom, the logo is on the left shoulder rather than the right chest. Also quite unusually, the logo is not a sewn on patch, but is embroidered directly into the jersey. 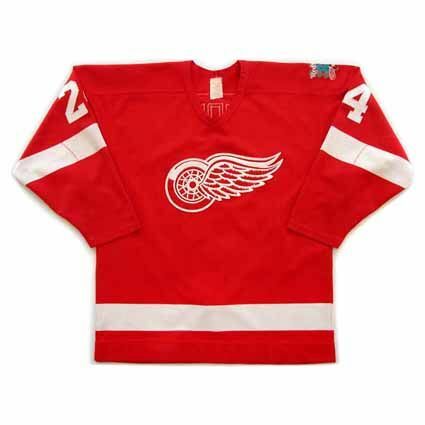 Bonus jersey: Today's bonus jersey is a 1991-92 Detroit Red Wings Bob Probert jersey. 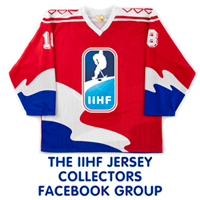 This jersey has the NHL 75th Anniversary logo swen onto the upper right chest as a patch - the more conventional approach to commemorative logos on NHL jerseys. 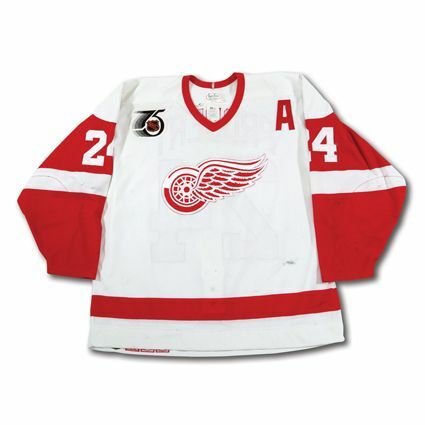 On the upper left chest, this jersey has the assistant captain's "A", a testament to Probert's standing with the Red Wings. 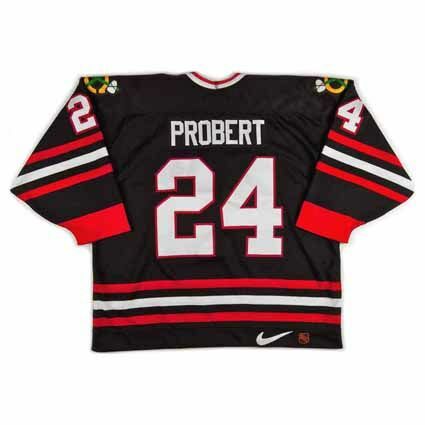 Extra bonus jersey: Today's extra bonus jersey is a 1998-99 Chicago Blackhawks Bob Probert jersey. 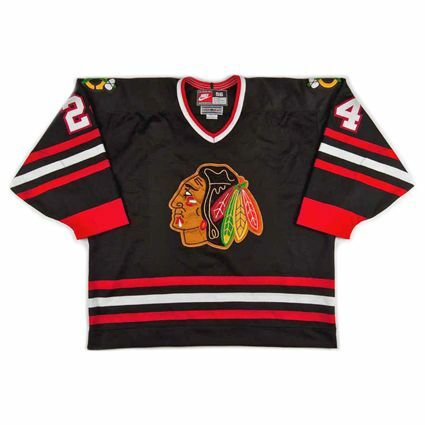 This jersey was the Blackhawks alternate third jersey from 1996-97 through 2006-07. 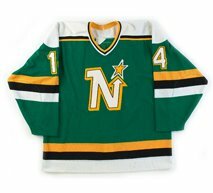 During the first year of the new Reebok Edge jerseys the use of third jerseys was suspended for one year before this style returned in Edge form for the 2008-09 season before being replaced by the team's throwback jersey as worn in their first Winter Classic appearance for the 2009-10 season. 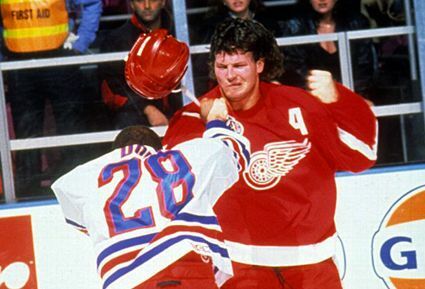 In today's video section, Probert himself talks about his experiences as a fighter in the NHL. Here, Probert scores his fourth goal of the playoffs in 1988. Next, it's throwback jerseys for everyone! Probert takes on Grimson from the 1991-92 season with both players and the linsemen all wearing Turn Back the Clock jerseys. 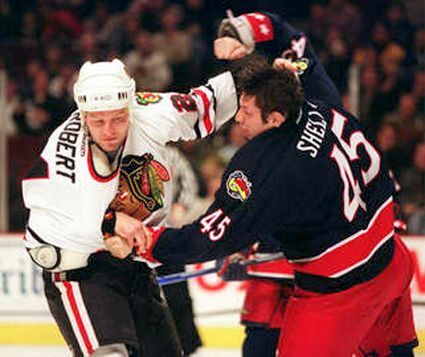 One could literally spend all day on YouTube watching the numerous Probert vs. just Grimson fights. After Domi showed up Probert with his antics after their first fight, Probert hammers Domi into next week just 37 seconds into the game. In a brutal battle, Probert and McSorley engage in a lengthy slugfest. It's such an instant classic, that Don Cherry, at his finest, breaks down the fight for his local police who didn't get to see it the first time around. Even Doug Gilmour, a good Kingston boy, liked it. Finally, all this came at a price, and he's Probert's wife Dani talking about the decision to donate his brain to science after his death.